Do you own a yacht in Vancouver and want to earn money? 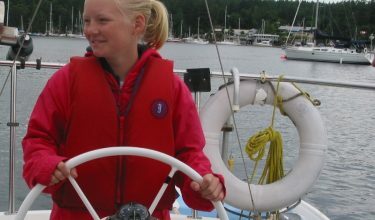 Are you a keen sailor and own a yacht in Vancouver? Well have you ever considered a yacht management programme? If you have a yacht, or are thinking about purchasing one consider our programme where you can earn money by chartering your yacht in our fleet AND have the boat fully maintained all the time. An income on your yacht in Vancouver for the times that you are not using it, we charter it out for you. Sailing time in the Caribbean whilst your boat earns it’s keep in the spectacular waters of the Pacific North West. We have an excellent reputation for a very high level of maintenance of your yacht – giving you peace of mind that your boat is being looked after all season and a benefit in the long term as a good maintenance programme can increase the resale value of your boat. Our yacht management team have masses of experience in the yacht charter business around the world and will professionally manage and maintain your yacht to the highest standard. We own a boatyard at the same location from where your yacht would be under our care. The yard and yacht service division with a full compliment of experienced marine technicians ensure your vessel is always in tip top condition. If you have a new or pre-owned yacht in Vancouver and would be interested in keeping your boat fully maintained, with no effort, and earning money by chartering your yacht in our fleet, then contact us for more details.